Flying in first class definitely has its perks. How many times have you walked on to an airplane and passed the first class section on the way to your regular economy seat and wondered how nice that would be? For travelers who fly first class all the time, you realize how awesome it can be. There are many advantages of flying first class, but there are some disadvantages. Yes, there certainly are. When flying first class, especially on a long haul flight, there are some things you will need to know. 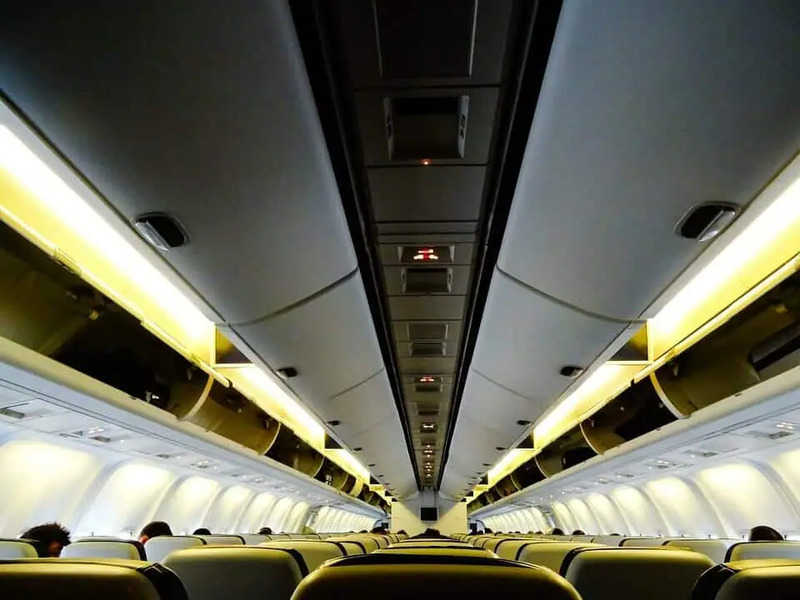 Following some basic rules and knowing some tips can really help you have an enjoyable flight. 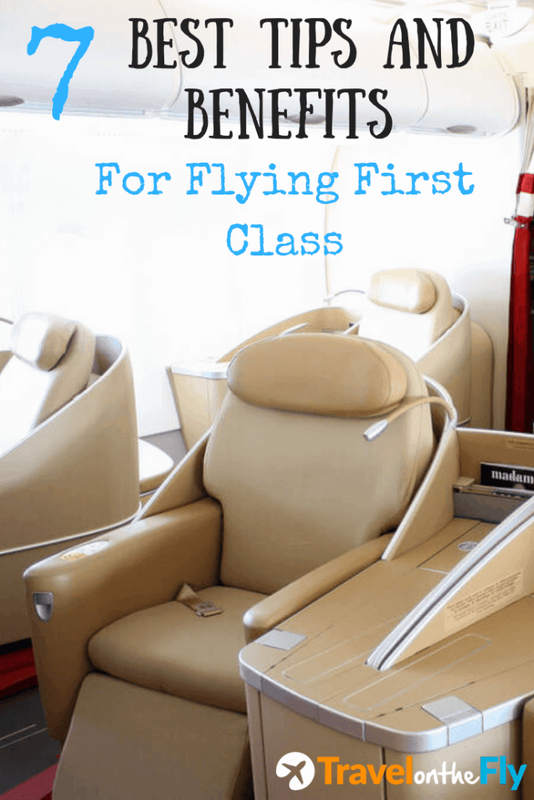 In this article, I will show you 7 best tips and benefits for flying first class. I personally don’t agree with drinking alcohol on board an aircraft for various reasons, but some people like to have a glass of wine or other alcoholic beverage with your meal. If you were flying in economy class, there is a cost for that. While flying in first class, you won’t need to pay as it is included with your airfare. Let’s face it, the meals on board most flights are terrible at best. If you are in economy class, most flights today won’t offer a meal at all. With all the cost-cutting measures the airlines are currently implementing, you are lucky to get a light snack. On certain flights, there will be a menu of snacks that you can choose from at a hefty price. For passengers in first class, you will actually be provided with a nice hot meal and snack for free. There will be no cost for that and the meals are quite decent. On longer flights, that is something you will appreciate having. Well, I shouldn’t say your own personal washroom, but the first class section will have a washroom that is dedicated to those passengers only. You won’t have to worry about standing in a line, or having the washroom occupied when you need to go. You will also notice that the flight attendants will pull a curtain across during flight that separates first class from economy. They will also make an announcement that the washroom in first class is for first class passengers use only. This is a huge perk that many people overlook. First class passengers will always get to board the plane first. This prevents you from standing in a huge line waiting to get on the plane. 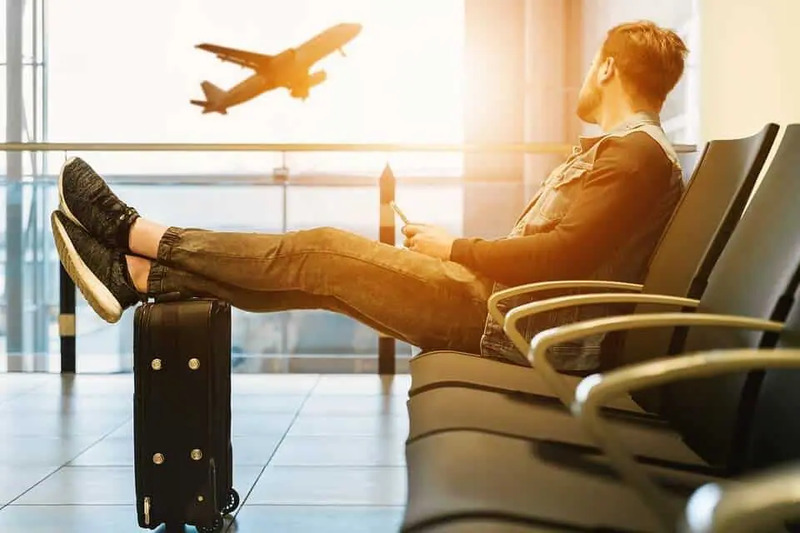 You will also have the benefit of putting your carry on bag in the overhead bin first, which means you won’t need to scatter around the plane looking for a bin that is not full with everyone else’s bags. If you are in a rush once the plane lands, you will be the first one off which will save you a lot of time. Passengers in economy class sitting at the back of the plane can be held there for a long time after the flight. It takes quite a while to deplane if you are at the back. The seats in first class are way better than economy class in so many ways. Not only in size but in comfort. You will have ample space to stretch out and rest and stay comfortable. Not like economy where you are crammed in like sardines with no room to stretch. 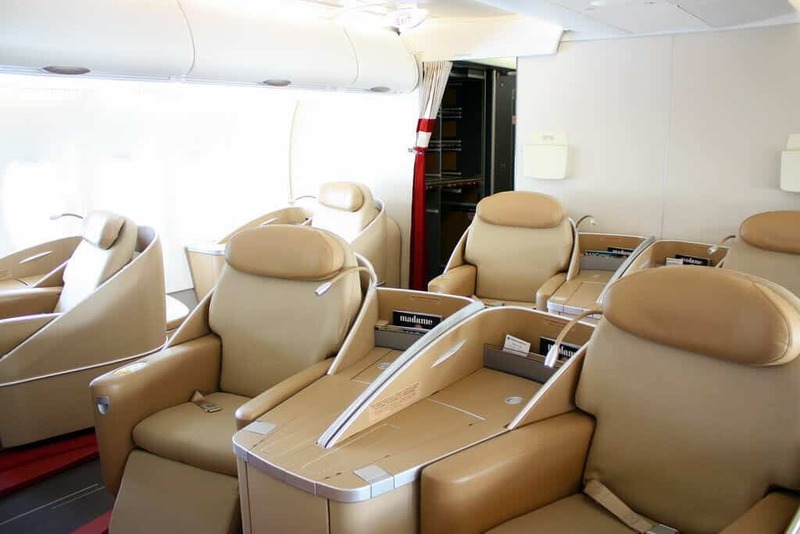 The seats in first class most likely will lay flat, allowing you to make a bed out of them for long-haul flights. Plus all your controls for headphones, seat remote, TV channels, volume etc.. will be located conveniently at your seat. So even if you are laying down, it will be easy to access. If you are flying in first class, it is very important to be polite and respectful of the airline crew that takes care of you. The flight attendant will appreciate your kindness and will be more willing to offer better service, treats, snacks, etc.. Kindness and respect go a long way on board the airplane. Have you ever tried to work on a laptop when sitting in economy class? It’s almost impossible. While sitting in first class, you will have ample space and an overall better environment to get some work done. You will also have access to a power station and way more privacy than economy class. I don’t know how many times when flying in economy class, I had trouble finding space in the overhead bin for my carry on luggage. Many times there was nowhere to store it so I had to put it under the seat in front of me. Well we all know that legroom is extremely limited already, once you put your bag in the only space you have for your feet, it can get very uncomfortable. In first class, this is normally not an issue. There will only be a handful of people sitting in first class, therefore not as many bags with lots of space to be utilized. Even if the overhead bins were full, there is plenty of space under the seat in front of you. You shouldn’t have an issue with a carry on bag while in first class. Is there a dress code for flying first class? No. The airlines won’t say you can’t sit in first class because of your dress. There is no specific code you need to follow. Of course, most people sitting in first class are either on business or vacation and tend to dress very nice. If you are an airline employee, chances are you will need to follow a company dress code when flying. If you are in first class, the company will want you to represent the company with proper dress. I know I just said that a dress code is not required. But if you show up for the flight and you are in economy class, chances of getting a free upgrade is more likely if you are dressed properly. Airlines tend to oversell seats on flights, and many times they will upgrade economy class passengers to first class to free up seats. Here is a great article from the New York Times that talks about cracking the airline dress code. How to upgrade your ticket to first class? There are a few ways you can upgrade your ticket to first class. The obvious being to pay extra. Some first class seats can cost up to 3x more than an economy seat. So if there is a seat available and you want to upgrade, the airline will gladly take your money. There are also a few ways you can actually upgrade for free. But it requires a bit more work and it’s not guaranteed. As I mentioned earlier, you will improve your chances of an upgrade if you dress the part. If you are a loyalty member of the airline and collect reward miles, this will help you get an upgrade as well. Also keep an eye on your email. Airlines will periodically email customers to see if you would be interested in a reduced price upgrade. Perhaps not free, but still a great deal. Always show up at the gate early, be polite and ask if an upgrade is available. You never know, they may be looking for someone to give up their seat for another passenger on standby. The biggest negative of flying in first class is the cost. For the most part, a ticket in first class will be significantly higher than an economy ticket. So you need to weigh the pros and cons to see if it is worth it for you. Depending on the airline you are with, type of aircraft, services available and length of flight it may be worth it. There are times when it’s not worth it at all. Also if you are on an aircraft that is older and smaller, the first class section will not be that much of an upgrade. If your flight is short, you can probably handle economy class for a short time and save the cash. I have seen 1 hour flights cost thousands of dollars more for a first class seat over economy. Is that worth it? In my opinion, not at all. Hopefully, you found this article helpful.